A classic Prince of Wales check in a rich shade of coffee turns this gorgeous, 100% pure new wool suit into a key summer style statement. Wear all three pieces together, or combine with summer separates for a relaxed yet sophisticated look. The best online gentlemans outfitters. Excellent service coupled with an excellent product. I would thoroughly recommend Brook Taverner for the discerning gentleman who takes great pride in his appearance. Superb products at great prices. A clothing company with style!! Good selection of quality woollen suits and the best bit;at a bargain price!! Great service & v quick delivery. Sales staff most helpful dealing with complicated order. Always excellent. This time bought Dollis Summer Tweed suit. The quality was superb and the price excellent. Whenever I telephone the Customers Services team the level of service is excellent. I continue to support this Great British business and they would be my "first port of call" when buying any new clothing. Excellent quality at amazingly good prices followed by fantastic service. What more could you wish for ? First class service-,even a phone call to check the address when I had misentered the post code. Delighted with the quality of the suits I bought, really excellent value at the price. The fit was spot on. From a service and delivery point of view seems to be a good company to deal with. Got exactly what I wanted, quickly and at a good price. Not worn it yet so only time will tell if the quality matches the service. 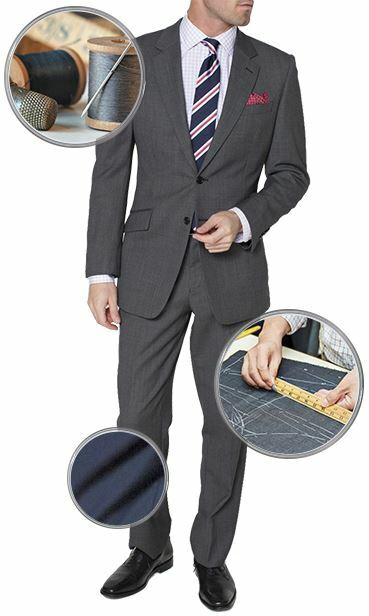 Great quality suits. I sent a jacket back for an exchange and I had the replacement in about 4 days. Amazing service. There's always lots of offers and discounts available. Super satisfied. Great Suit - Great Service. Saw a great suit on a friend and he recommended BT. Odering was simple, delivery was super quick. I ordered wrong jacket size (my fault) and returns process was simple and quick with replacement within a week. Superb service. Highly recommended. 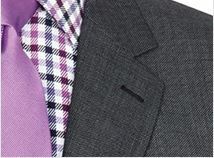 Great fabric and beautifully made, it is a lightweight suit, so only really suitable for the warmer months of the year. Mens wool suit in classic fit, prince of wales check. Excellent quality and cut, speedy dispatch and generous bonus point system which allowed additional quality purchases of a shirt and tie at discounted price. 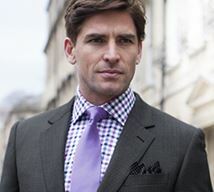 Will definitely shop with Brook Taverner online again. I recently bought a new suit from Brook Taverner on-line. I had no doubts about the high quality of the garment as I had purchased items before- but in store. 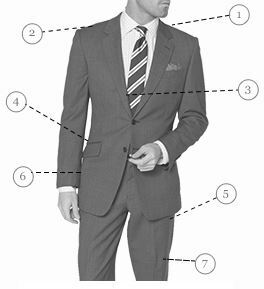 I was not disappointed as the Dollis spring-weight 3 piece suit- it more than exceeded my expectations. The price -in the sale- was exceptional and delivery was speedy. All in all a fantastic shopping experience. Thank you very much. I am very pleased with the suits. Excellent products and first class service. As always with Brook Taverner the quality is unsurpassed. The service and speed of delivery is also impressive. I am a committed customer. Really pleased with the suit I just purchased. Ordering on line was easy and I was kept well informed about delivery what was happening etc. Fantastic clothing at amazing prices and first class service - why go anywhere else? The 3-piece Dollis tweed is beautifully tailored for an off-the-peg garment. I love it and it makes me feel a little bit different from the sober suited crowd. My first Brook Taverner order has been quickly and efficiently dealt with. Very well packaged and delivered to the door by courier almost exactly at the time indicated on e-mail. Very good service and one which I shall undoubtedly use in the future. Well done BT ,keep it up. Ordered yet another suit , as always came the next day very nicely packaged and presented. 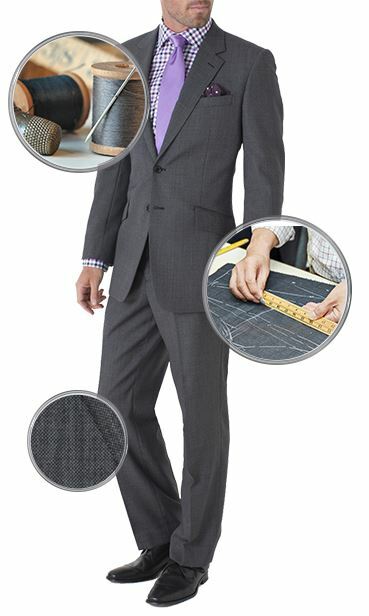 Suit is very high quality and and an excellent cut and fit . What more do you want ? I buy most of my clothes from Brook Taverner. The suit I ordered was very well-tailored and offers great value for money. The delivery was very speedy. I am very pleased and will use Brook Taverner again. Great quality, great fit, would really recommend. 5 Stars. Brook Taverner kept me well informed of the status of my order, exchanged one item with absolutely no problems - use of return postage label made this all very easy. Most importantly the clothes I bought were excellent quality and a good price! I've used Brook Taverner before and they always delight. Their clothes are of excellent quality and very well priced. Top notch Summer Tweed suit. Bought the Dollis suit as soon as it came on line. Colours are better in real life. Fast delivery as well. Highly recommend. Normally I dither before making a purchase. As soon as I saw this suit I bought it. I was not disappointed. In fact the colours are better than in the photographs. Can't wait for the summer now, pity its only February.